Frota Academy always has a steady stream of exciting guests and seminars in store. This fall is no different. The latest seminar to be held at the prestigious location will be held in December. 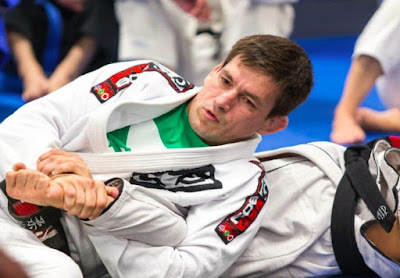 The latest guest is one of the major stars of BJJ, and one of the most loved: Demian Maia! Demian Maia is a Brazilian mixed martial artist and Brazilian Jiu-Jitsu practitioner. He currently fights as a welterweight for the Ultimate Fighting Championship. As of May 20, 2017, he is #1 in the official UFC welterweight rankings. Maia is regarded as one of the greatest grapplers in MMA history. By age nineteen, Maia was introduced to Brazilian Jiu-Jitsu by his cousin. After four years and seven months, Demian received his black belt. Demian Maia finished college and graduated with a degree in Journalism. He is currently a fourth degree black belt in Brazilian Jiu-Jitsu and has won several major tournaments under Team Brasa. He won the 77–87 kg weight division at the 2007 ADCC Submission Wrestling World Championship, defeating Yushin Okami, Rafael Lovato, and Tarsis Humphreys before armbarring Flavio Almeida in the finals. Maia has also defeated top-ranked UFC middleweight and multiple-time Mundial champion Ronaldo “Jacaré” Souza, as well as former UFC heavyweight title challenger and Mundial champion Gabriel Gonzaga twice in grappling competition.